Tag Archive | "know your fish"
Tropical fish selection is one of the most important things you need to educate yourself about if you plan on being a successful at tropical fish keeping. Out of the hundreds of thousands of fresh and saltwater fish species found around the world, how do you know which ones are adaptable for life in your aquarium? If you have ever visited your local aquarium you already know that tropical fish come in all sizes, shapes and colors. Although they are all beautiful, not all fish can be successfully housed in an aquarium regardless of it’s size. When purchasing your fish online or from your local pet shop, you need to be discerning about which fish you put together in your tank. So, here are some tips to help you choose just the right mix of fish for. Tropical fish selection becomes much easier when you know your fish. Your fish tank can be a literal work of art of living colors or a “dead zone” if your tropical fish selection skills are not up to par. Like any other pet species, tropical fish have different temperaments and “personalities”. Fortunately many books have been written about freshwater and saltwater tropical fish that can educate you on fish compatibility, heartiness, delicateness, difficulty to keep, feeding, danger to humans, etc. You should educate yourself enough to be knowledgeable about the type of fish you want for your home before visiting your local pet shop. Most pet shop owners are happy to guide you in your tropical fish selection but there are some unscrupulous vendors who will sell you any type of fish or a sick fish just to make the sale. How healthy are the fish you are looking to buy? Purchasing tropical fish is a long term investment that can become quite pricey, so you need to be armed with as much information about fish health and fish compatibility as possible. When you decide to populate your tank with fish, your best bet is to buy them from a fish breeder or a reputable pet store. These individuals already have the knowledge needed to help you make the right choices for your aquarium. What signs do you look for? Do the fish have any discolorations outside of their normal pigmentation? If so, don’t buy them. Do the fish have any white spots or fluffy white tufts on their bodies? If they do they probably are infected with ick or a fungus. Are the fish wagging and listless? Don’t buy them. Watch the fish a little while before you decide to purchase one. If the fish is aggressively attacking it’s tank mates, it will almost certainly do the same to other fish in your tank when you bring it home. One major decision you need to make before even setting up a tropical fish tank, is if you want to keep freshwater or a saltwater fish. Freshwater fish are much less expensive than saltwater fish. And, you can get started keeping freshwater tropical fish for a lot less money. In addition to their cost, saltwater fish are more labor-intensive when it comes to maintenance. The temperature, salinity, pH and bacteria levels in a saltwater environment require constant monitoring to maintain the proper levels. Generally, freshwater fish are heartier than their saltwater cousins and are more tolerant to conditions that would kill saltwater fish in a closed environment. We recommend that you start your tropical fish keeping efforts with freshwater fish until you gain the experience to migrate into saltwater fish keeping. Fish size is also a factor in tropical fish selection. Tropical fish come in a variety of sizes. They may start out in your tank less than an inch long, but they grow just like any other animal species. The cute little fish that you selected for you 55 gallon tank may be small now but could quickly outgrow your tank. The South American Red Tail catfish is one such fish. 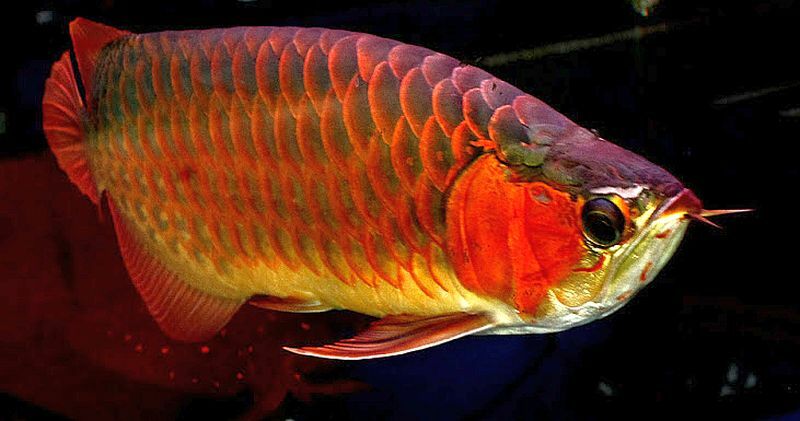 They are beautiful fish and fun to keep when small, but they quickly become aggressive and can reach 50 pounds in weight. Another common problem with tropical fish aquariums is overstocking. When you purchase your fish, keep in mind how big they will grow in your tank. Buy fewer fish initially and add fish later, if you still care to. An experienced tropical fish keeper may successfully keep a school of twenty small fish in a ten gallon aquarium, but it could be disastrous for a beginner to try it. There is some debate over the one inch per gallon rule but it is a good place to start. We recommend taking 80% of the net gallon capacity of the tank as the minimum number of fish to keep, especially with saltwater specimens. The 80% number represents the actual amount of water in the tank when displacement from gravel and decorations are factored into consideration. Another consideration in tropical fish selection is food. All tropical fish do not eat flakes or pellets. Some like “elephant nose” fish need heartier food like tubifex worms. Baby fry have their own specialized diet until they grow old enough to eat what you feed the rest of your fish. Many saltwater fish have specialized diets that can put you in the poor house, so if you don’t want the food bill to bust your budget, select fish that have simple tastes. Before you invest a lot of money in tropical fish, know what to look for when selecting a species and aim for the most peaceful fish.